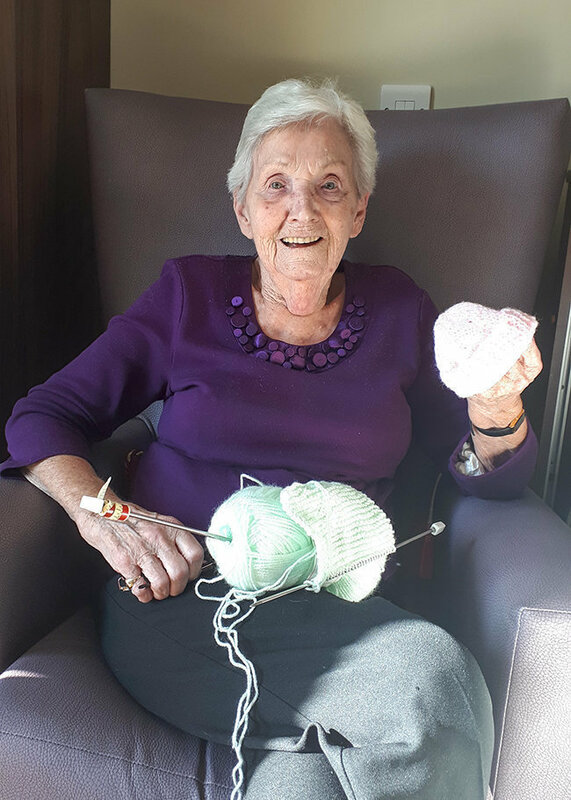 Our wonderful residents who make up the the Knitting Club at Low Furlong residential care home in Shipston-on-Stour, Warwickshire, have been busy knitting and crocheting bonding squares and hats for premature babies in the Neonatal Unit of St. Thomas' Hospital in London. Bonding squares are pairs of 5 inch by 5 inch knitted or crochet squares, one is put with the poorly baby and the other is with the parent and then these are swapped over daily, and are considered crucial for premature babies as well as babies undergoing treatment, and parents who are separated at such a pressing time. 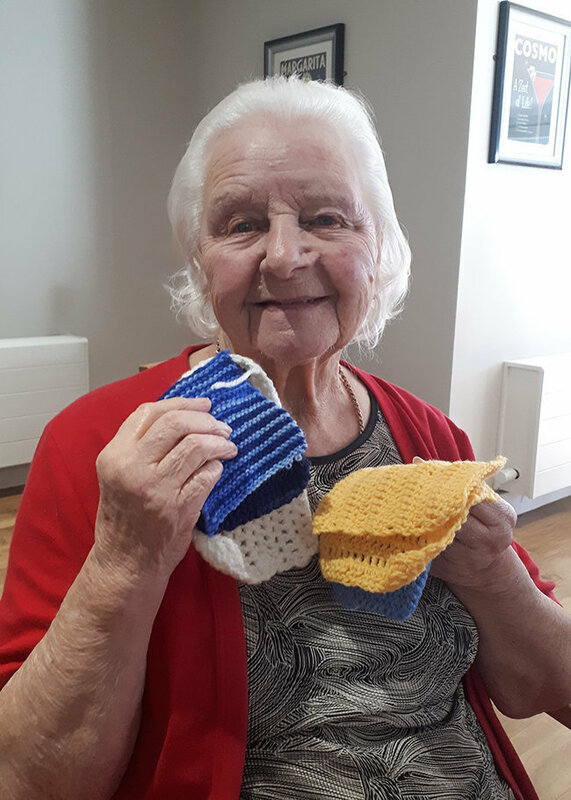 Here are our Low Furlong residents, Joyce Deering, Jeanette Davey and Mary Brown, busy creating hats and squares before sending them off to the babies being treated at St Thomas’ Hospital. Low Furlong is a residential care home in Shipston-on-Stour, Warwickshire, providing 24 hour expert care for older people, including those living with dementia. 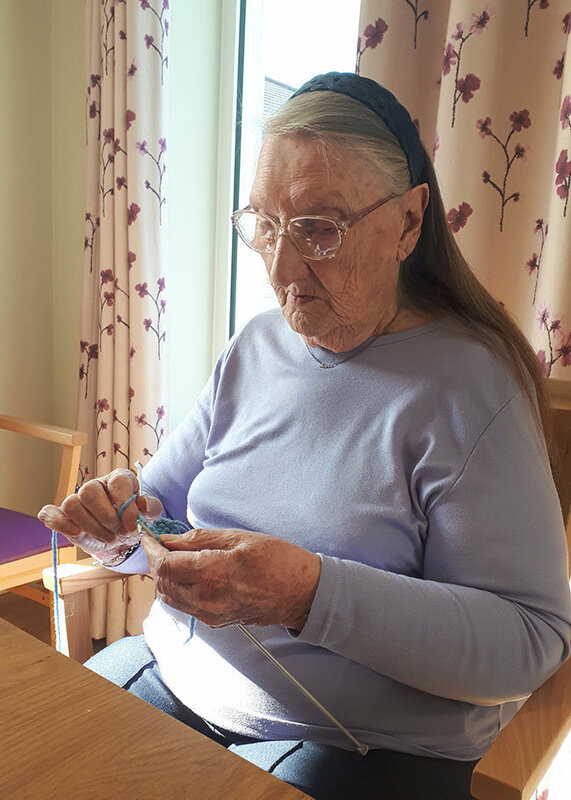 Our residents are encouraged to take part in a variety of feel-good activities to keep brains and bodies engaged and living life to the full. To contact Low Furlong, please call 01608 662005, email low.furlong@runwoodhomes.co.uk or visit the Low Furlong web page by clicking here.